Free Download | way above the level. 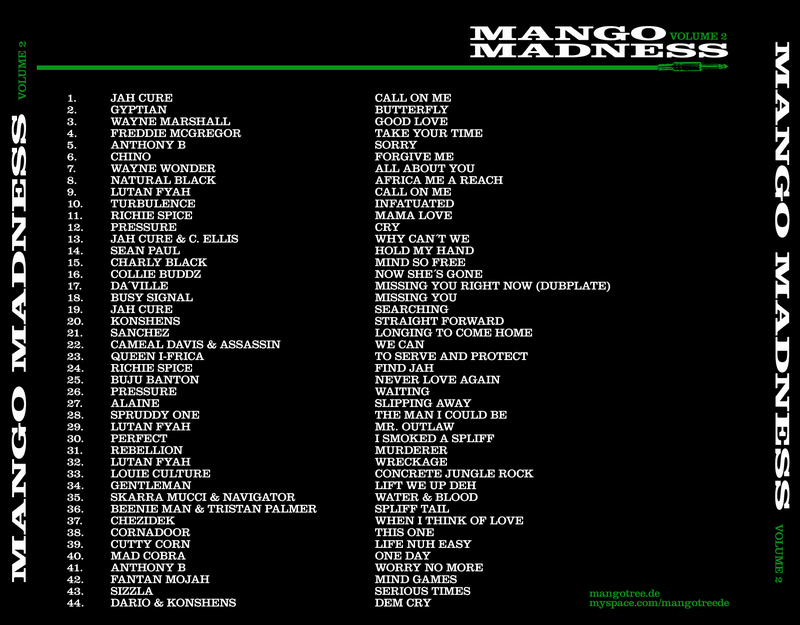 On time for the 9th Anniversary of Frankonias No.1 Sound Mango Tree, our friends released the second part of their Mango Madness Mix series. Get it by clicking the front cover! Fedaration Sound, along with Business Class & Equiknoxx just dropped the Aidonia „Bolt Action“ Mix CD. by „Smorian Silber I-Shence“ aka German Dancehall Artist Smo outta the Heckert Empire. Definitly Suspect for Germany’s Tune of the Summer 2009. As you remember a while ago I featured Abuya Sound from Israel in the Young, gifted and Baaad Section of this blog. Well, now here’s a new recording from a juggling session they’ve had 3 weeks ago in Tel Aviv. Two hours of high-energetic Dancehall-Jugglin‘ from the middle-east, so make sure to grab a piece of this! Wow, unbelievable how fast the Promoter (U-Club) puts up the Audio for this Clash this time. Big up Mattia & Crew! Kalibandulu from Italy just released the third edition of their mix-cd-series „Jugglin‘ from Mars“, a 88 tracks strong mix full of Remixes and Dubplates for the dancehall-fanatics that you are.